Director General Samira Khamlichi (left) and Commercial Development & Partnerships Director Samira Lazraq (right). Morocco owes around 7% of its GDP to its diaspora of more than eight million people. To tap into this vast market that moves in excess of €5bn annually, Wafacash has teamed up with online money transfer service WorldRemit. Now, money transfers from anywhere in the world into Morocco can be finalised in seconds with a convenient app. Wafacash’ unequalled market penetration ensures that remittances can be sent almost instantly to any of the company’s 1,620 pick-up locations in Morocco. Already in 1995, Wafacash managed to become the first Maghreb partner of Western Union. Set up in 1991 as a branch of the Attijariwafa Bank Group, one of the largest financial services providers in Africa, Wafacash has established a stellar reputation for operational efficiency and customer service. 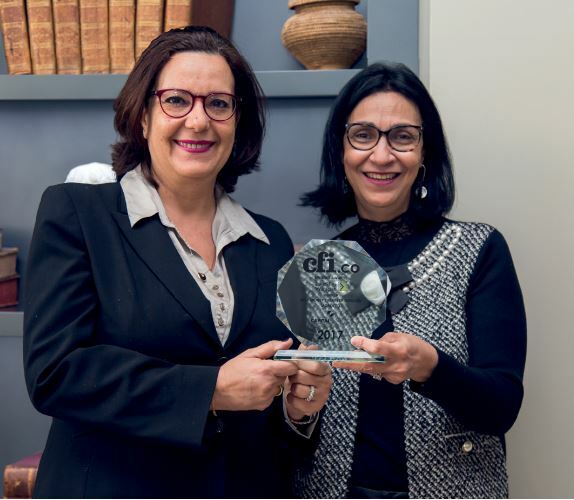 The company, initially called Wafa Monétique, pioneered the money transfer market in Morocco and has received wide recognition for its efforts to further financial inclusion. Its Visa Electron card, launched in 1997, helped democratise access to bankcards. Over the years, the company diversified its range of products with the inclusion of foreign exchange services and consumer loans offered via its corporate sibling Wafasalaf. The company also introduced the innovative Floussy Card – an electronic wallet not connected to a bank account. The CFI.co judging panel notes that Wafacash has been exceptionally successful in exploring synergies. The company now boasts a vast range of tightly-integrated product range that provides its customers with unparalleled convenience and ease of use. The judges have closely followed the firm’s trajectory for a number of years and agree that Wafacash again merits recognition for its achievements. The judging panel declares Wafacash winner of the 2017 Best Money Transfer Services Morocco Award.